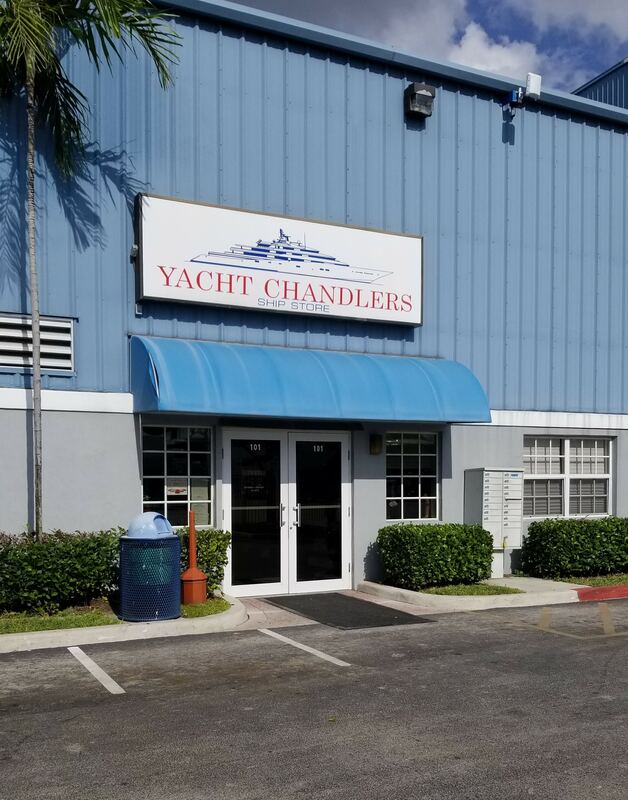 Conveniently located at Lauderdale Marine Center (LMC) , Yacht Chandlers Ship Store is less than a half mile away from all major shipyards based on State Road 84/ Marina Mile Blvd. Stocking over 20,000 items our friendly and knowledgeable ship store staff will help you every step of the way. We work with hundreds of vendors worldwide to source some of the most cutting edge and revolutionary products to the South Florida market. Our dedicated staff is always seeking out new and exciting items to make your life easier. Our most recent find is All Protect, a reusable, multi-purpose fleece protection fabric that safely adheres both vertically and horizontally to any surface, it is durable, create a liquid barrier against spills and its adhesive leaves no reside on removal. First debuting and primarily focused on the aviation industry. It was intended to protect the surfaces on private jets while they were being built, repaired and maintained. We saw the perfect Segway for this product and have now introduced it to the Yachting Sector. Large assortment of stainless hardware, Metric and Imperial. 316 Stainless coming soon! Interior and exterior cleaning supplies, all your favorite brands! 3M, Gardena, Shurhold, Absorber, Starclean, Kanberra, K2R, Magica, Gel Gloss, Teak Plus/Minus, Snappy Teak, Eco-100, and more! Paint and sundries, including a full selection of Awlgrip, Hammerite, thinners & solvents, epoxies & glues, brushes, rollers, tape, knives, scrapers etc. Protection items, such as shore power cord sleeve, bubble wrap, corrugated plastic sheets, rolls of flexible plastic, cap-wrap protective film, blue diamond cover guard, and a -Yacht Chandlers exclusive – Allprotect surface protection!